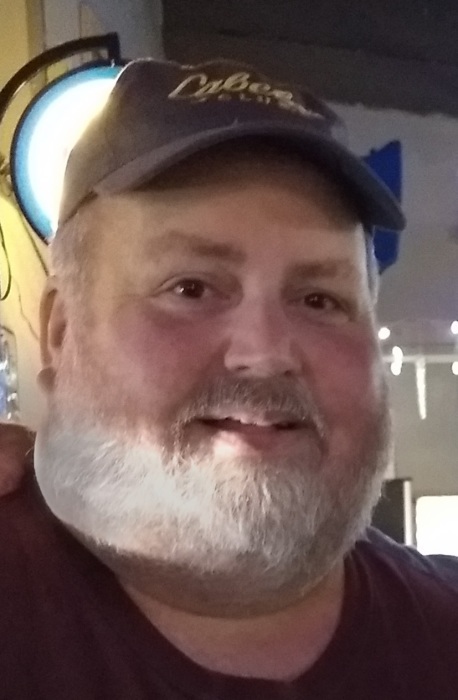 Dave Flanagan, 53 of Winona, passed away Tuesday, January 15, 2019. David Brian was born January 19, 1965, in Winona to Charles and Marlene (Ellestad) Flanagan. He graduated from Winona Senior High School in 1983 and from Southeast Technical College in 1985 with his degree in carpentry. He was a life-long Winona resident. Dave was self-employed as a carpenter and during the winter months, he had a snow-plowing business. Dave grew up camping with all of his family. He enjoyed the outdoors later in life by attending many auctions for collectibles, snow plowing for many businesses in town, and doing drive by checks on family members. Dave was a quiet man but always had a way of making others laugh and was a great listener and story teller. Dave seemed to know everyone in town, whether through business, friends or through local establishments and was fondly known as “Big Dave”. He will be missed but is being greeted in heaven by many family members who passed before him. He is survived by his mother Marlene Flanagan; nieces and nephews: Lydia (Jesse Stiehl) Flanagan; Lauren Flanagan; Brandon (Angela) McQuinn; Jason (Beth) McQuinn; and Sarah (Alex) Suebsanh; great nieces and great nephews: Dominic, Chloe, Tori, Connor, Kimber, and Madison; a brother-in-law Brad (Donna) McQuinn; an uncle Arthur (Kay) Ellestad and an aunt Betty Lou (Jim) Pries. He was preceded in death by his father Charles; sister Terry McQuinn; brother Dan Flanagan; maternal grandparents Leonard and Mearl Ellestad; paternal grandparents Charles and Marguerite Flanagan; and an aunt Sharon Golden. Funeral services for Dave will be 11 a.m., Thursday, January 24, 2019, at Central Lutheran Church, Winona. Placement in the niche will be at Woodlawn Cemetery, Winona. Visitation will be 4 to 7 p.m. Wednesday, January 23, at Fawcett Junker Funeral Home, Winona, and beginning at 10 a.m. Thursday, at the church. Memorials will be used for a bench near his brother and sister’s memorial trees.